Have you read the famous systems-management novel The Goal? No, I know you haven’t, don’t feel bad, I only got to it this year myself. Well, Gene Kim, entrepreneur, consultant, founder of Tripwire, and general insatiable Tweeter, has written a sequel of sorts his Visible Ops coauthors Kevin Behr and George Spafford. 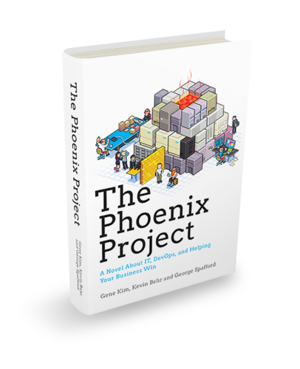 Bearing the tongue-twisting title The Phoenix Project: A Novel About IT, DevOps, and Helping Your Business Win, it’s like The Goal in that it’s written as a novel about the people in a large IT shop and how they’re faced will all the usual soul-crushing BS that we all get faced with, but use Lean and DevOps and pluck and courage to overcome it. I got to be a pre-reader on large chunks of the book and I like it; it definitely has characters and situations directly torn from your IT department. (Man, the security guy… Just like every security guy…) And I’ve seen these techniques work, so I know it’s not just a wish-fulfillment novel. If you’re wondering how DevOps can help you because “you live in the real world, man,” this is a good read that’ll give you some ideas along those lines! I’ve seen Gene speak at everywhere from AppSec USA to South by Southwest Interactive to DevOpsDays to Velocity… Go read the testimonials from everyone from Cockroft to Humble to even yours truly and then buy the book! 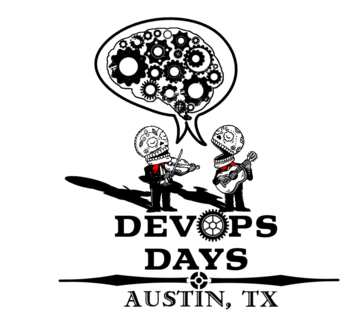 DevOpsDays Austin 2013 Is Coming! It’s been quiet here on the blog but we’ve been busy… And one of those items of busy-ness is setting up DevOpsDays Austin 2013! Many of you came to DevOpsDays Austin 2012, the largest super-awesome Austin DevOps event ever! Well, it’s even bigger this year. Registration is open for DevOpsDays Austin 2013! Sign up quick to be assured a spot. It’ll be April 30th and March 1st at the Marchesa in the middle of Austin. Because we had to pay for a venue this time to let more people attend, and to prevent no-shows from taking up the limited slots, we’ve instituted a $120 early bird fee for the event, which covers the food/venue/shirts for both days. Proposals are open too, as are opportunities for companies to sponsor – the more sponsorships, the more cool activities and goodies for everyone involved! I had a blast at DevOpsDays Austin in 2012 and this year stands to be huge. Come on out and share expert tips with other elite DevOps practitioners from around the world! Patrick Debois and a growing list of other respected DevOps ninjas will be in attendance.